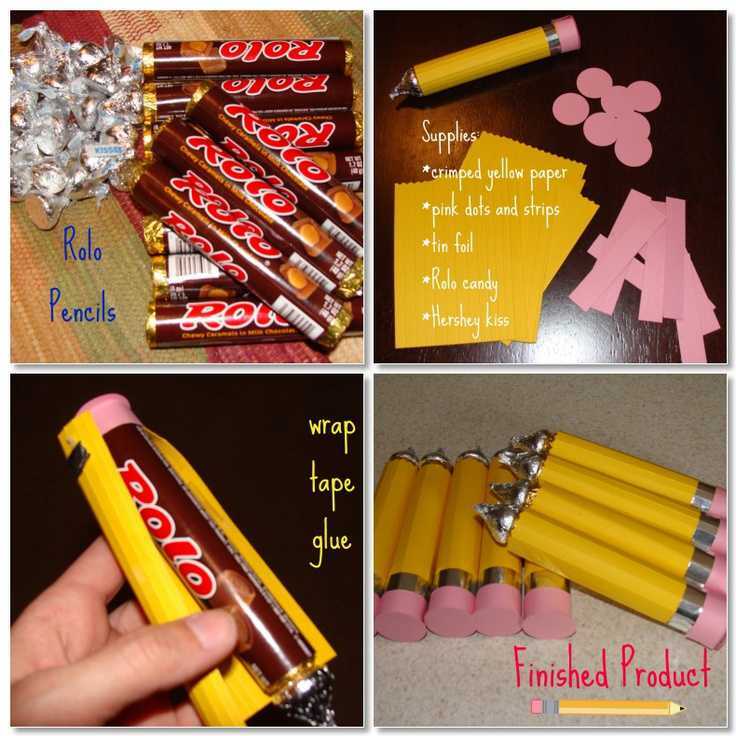 I have to say these Rolo Pencils Back to School Treats are so cute and inexpensive idea as well as for kids school parties or even for teachers to make for their students. Pull the Hershey’s label out of the Hug, and use the Glue Dots to attach the Hershey’s Hug to one of the ends of the Rolo. Cut a thin piece of foil to cover the part where the yellow and pink overlap, this works as the metal portion of the pencil. Lastly, you can attach a note to the finished product with a ribbon or string. Good ideas. But i was thinking for ideas aboit my moms friends b day present. I dont know what to make het. 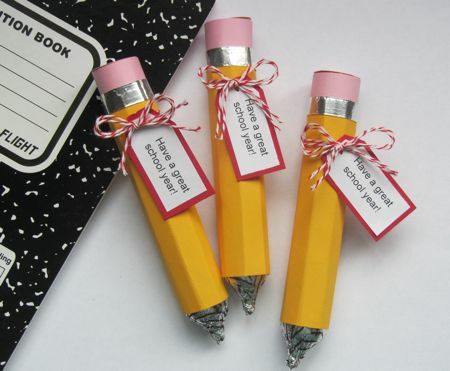 I love these they are so cute, but what makes the eraser. Where do you find the crimped yellow paper? You can use the yellow cardstock. Using pinking shears or decorative pinking scissors, cut a small strip off the short side of the cardstock. Love the pencil. Do you make a pen?